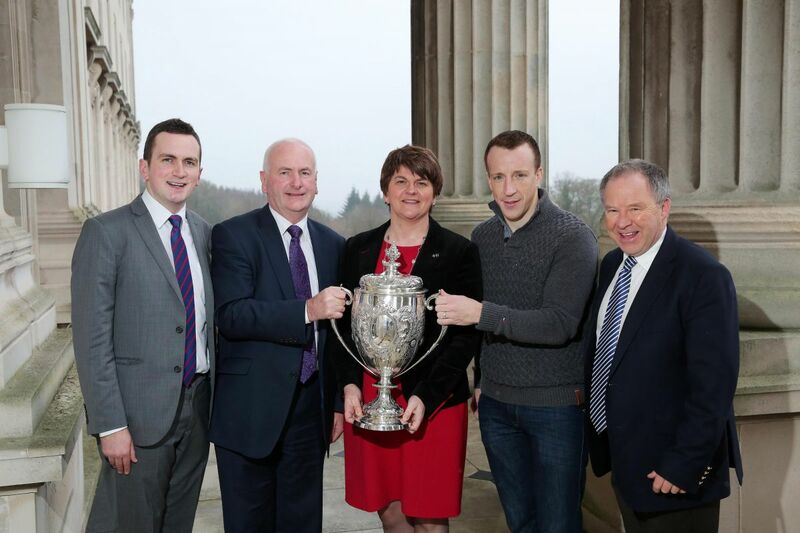 Kris Meeke has been welcomed to Stormont to celebrate his success in the 2015 World Rally Championship. The event was hosted by MLAs Arlene Foster and Gordon Dunne. The special tribute recognised Kris Meeke’s remarkable season in the 2015 World Rally Championship, where he finished the Championship in 5th place, driving for the Citroen World Rally Team. The highlight of the season was winning Rally Argentina in April, his first ever World Rally win and becoming the first British driver to secure a World Rally since the late Colin McRae in 2002 who mentored Kris for many years. A further success during this season was finishing second in the recent Wales Rally GB in November. Motorsport enthusiast Gordon Dunne MLA organised the celebration and was joined by Arlene Foster to celebrate Kris Meeke’s superb season. Gutted to miss this, work in the bloody building but didn't even know it was happening! From the title I thought he'd died! | From the title I thought he'd died! He could've made a bit of effort! Did Jonny Rea or Colin Turkington get a Stormont reception even though they won their respective championships; not finished fifth? The bike men get far superior and much more coverage on the news and print media than rallying has ever achieved ! I do not miss the point at all, and agree they should get official and public congratulations from our "powers"
There was call for a reception for Johnny Rea. But bear in mind as soon as the season finished, he was back out testing a new bike for Kawasaki and after that, his wife had another child. It might well be Johnny Rea hasn't had time or its the least of his priorities. We recognise all achievements here! | The bike men get far superior and much more coverage on the news and print media than rallying has ever achieved !